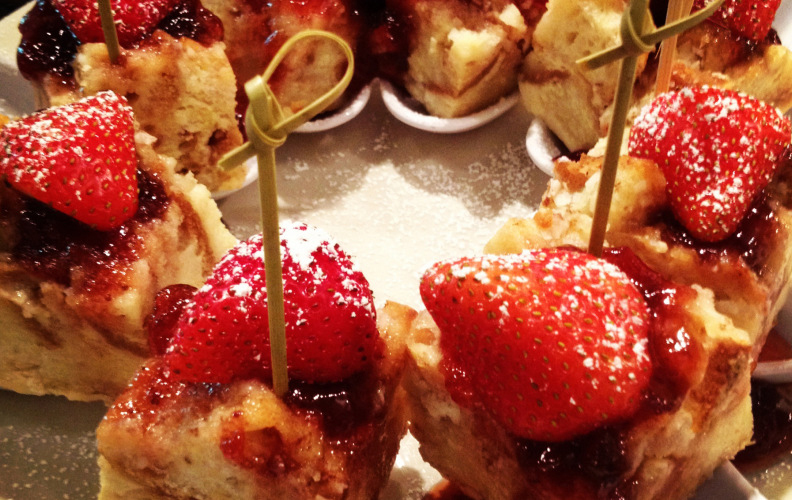 Welcome to The Basque Market!Come in and enjoy Spanish-style pintxos (Basque for tapas) at The Basque Market! Check out or delicious pintxo menu available daily. Specials and flavors change daily. 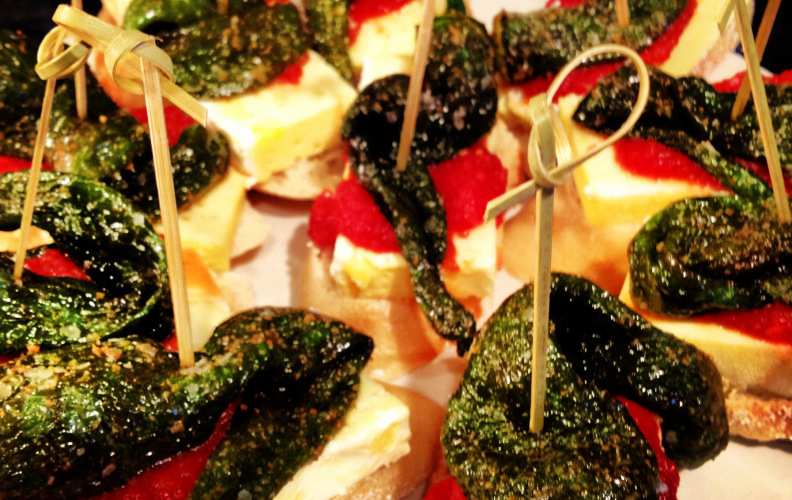 Order off of our Pintxos menu during normal business hours. If you are interested in more of a Pintxos bar, please stop by during lunch 11-3 on Wednesday and Friday or on First Thursday evenings. beer, Sidra or Sangria Blanco! 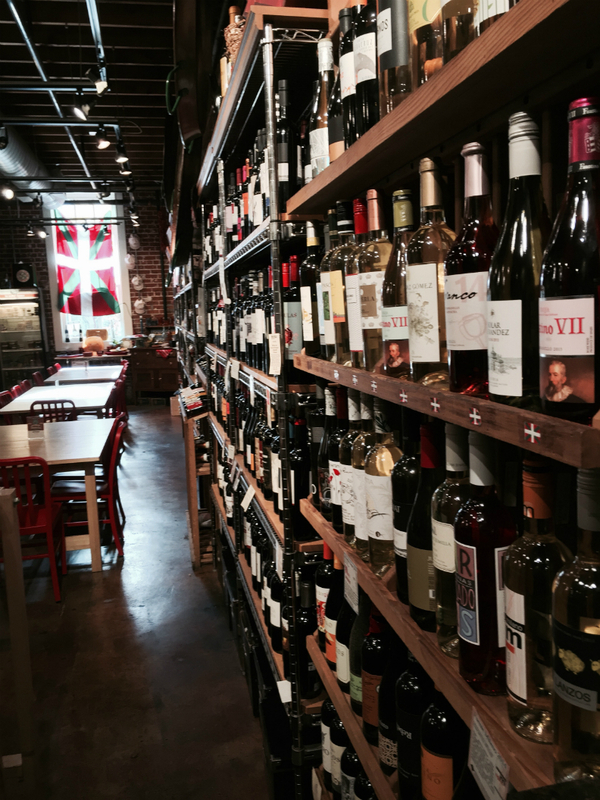 The Basque Market offers a variety of cooking classes with wine tastings each month. We can also customize a private class for you and your friends or colleagues! We taste three to four wines from the Iberian Peninsula. You’ll not only learn some great recipes, but also a fair amount about the wines of this region. 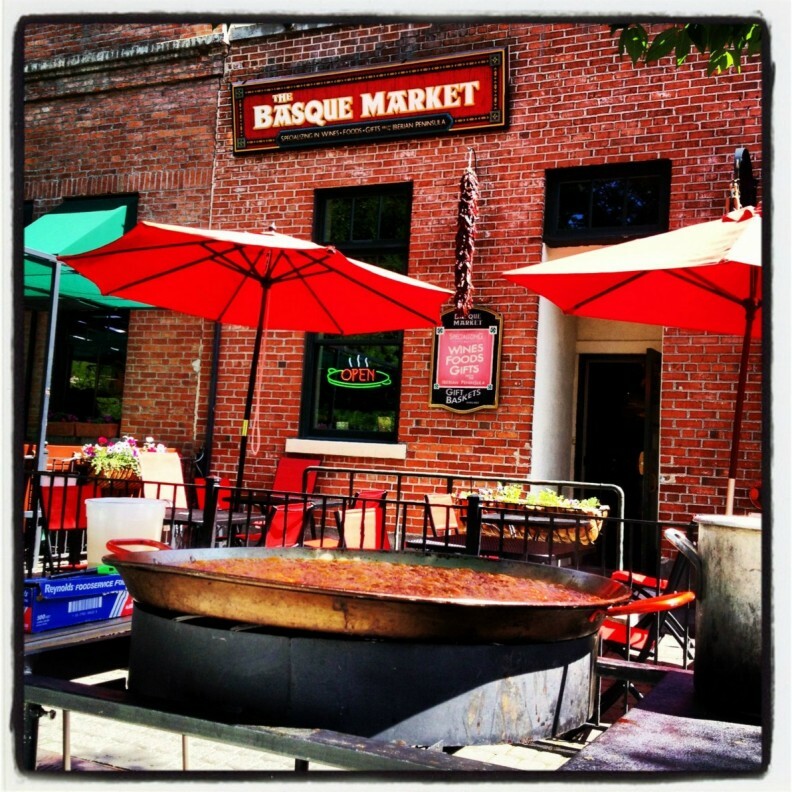 We host a variety of events here at The Basque Market and on the Basque Block! 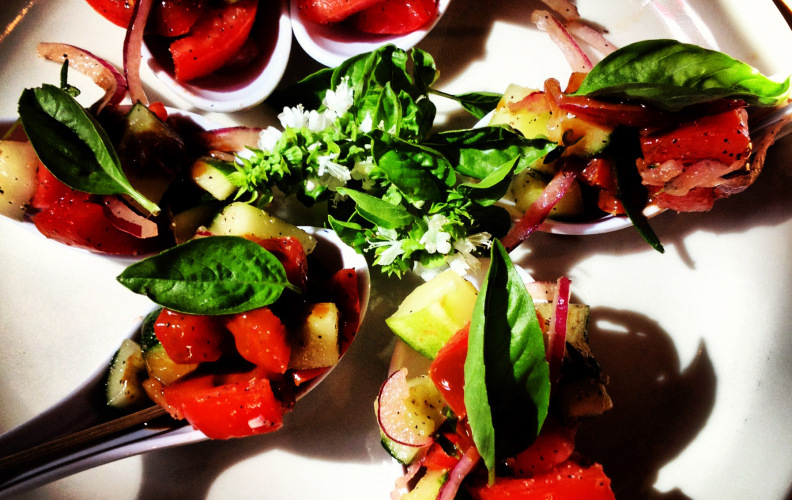 Let us plan and cater your next event. We can plan everything from tables and linens to live music! Feel free to send us a note in regard to your event and we will respond shortly. Let us do the work while you enjoy a great time with family, friends, or co-workers! Host your own party at the Market. We will prepare the food and provide the drinks, as well as clean up afterwords! 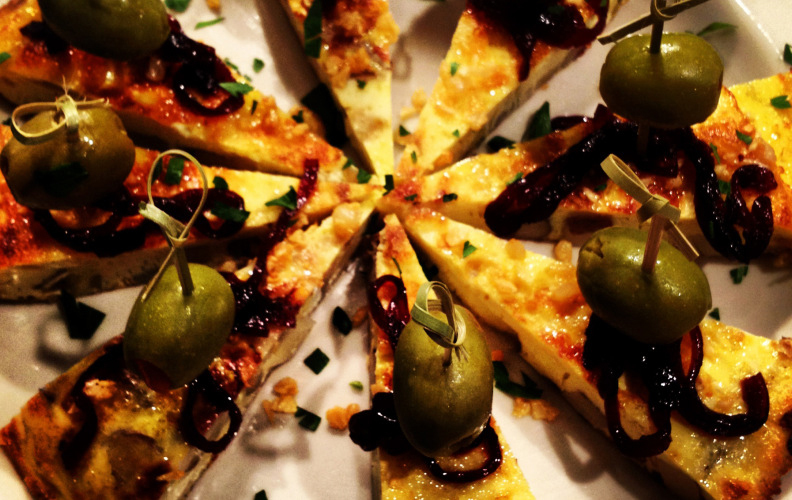 Ask us about different options such as tapas, paella, or a cider house dinner. 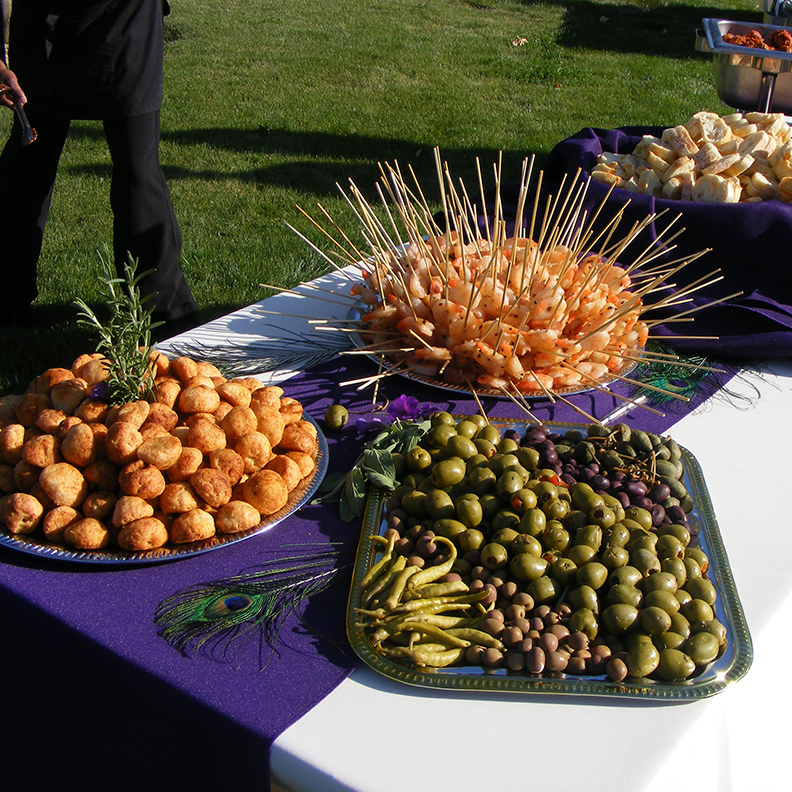 Let us help cater your next party, event or wedding. We have a full menu you can choose from or we can customize a menu to fit your needs. 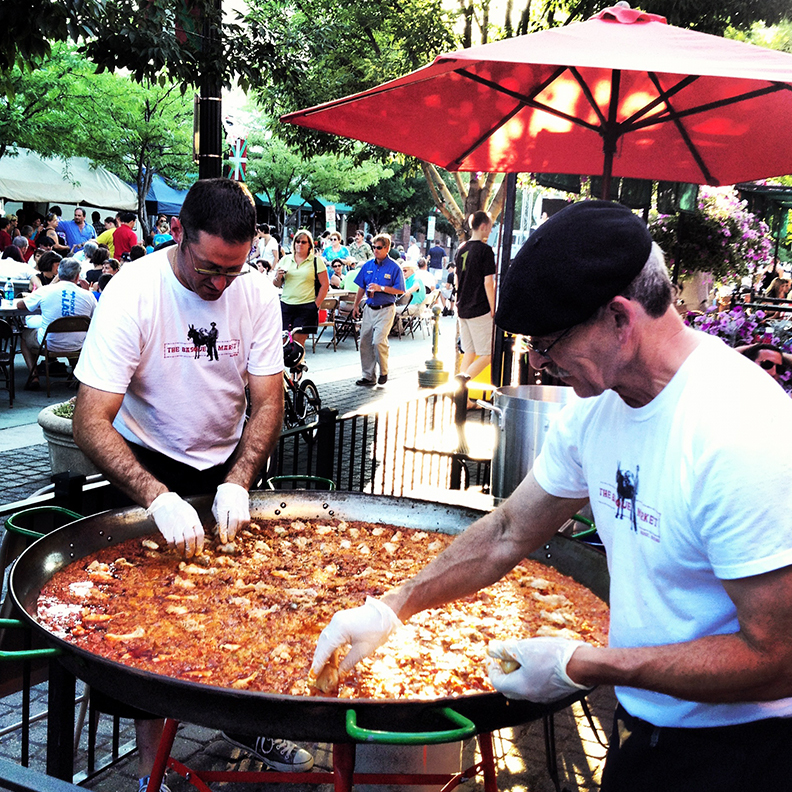 In the mood for Paella for 200? We’ve got you covered! Send us a note with a few details and we will respond to you shortly. Thank you! 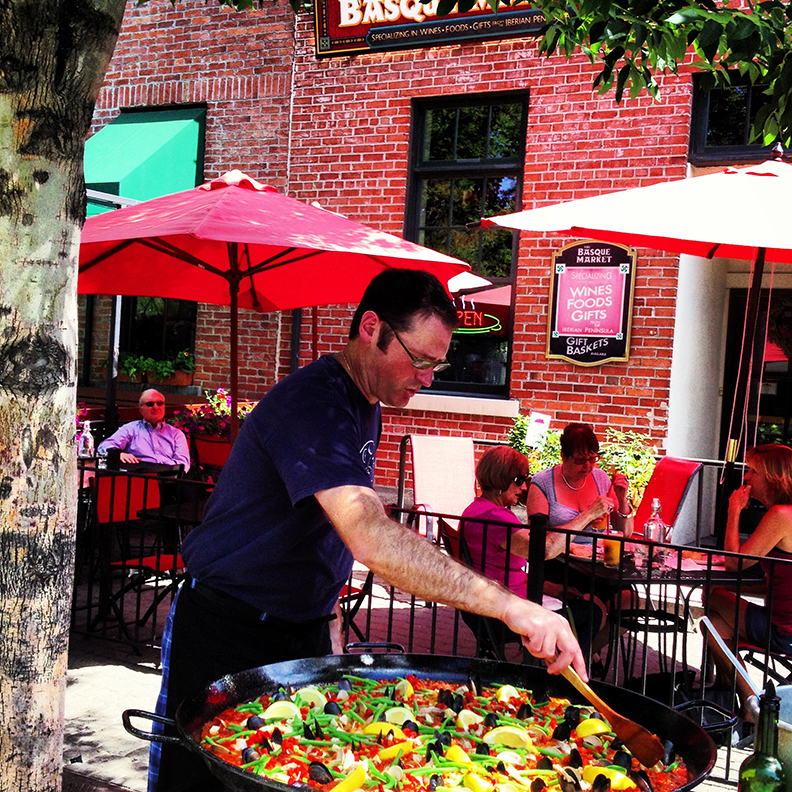 Come in and enjoy our meat & seafood paella at The Basque Market! 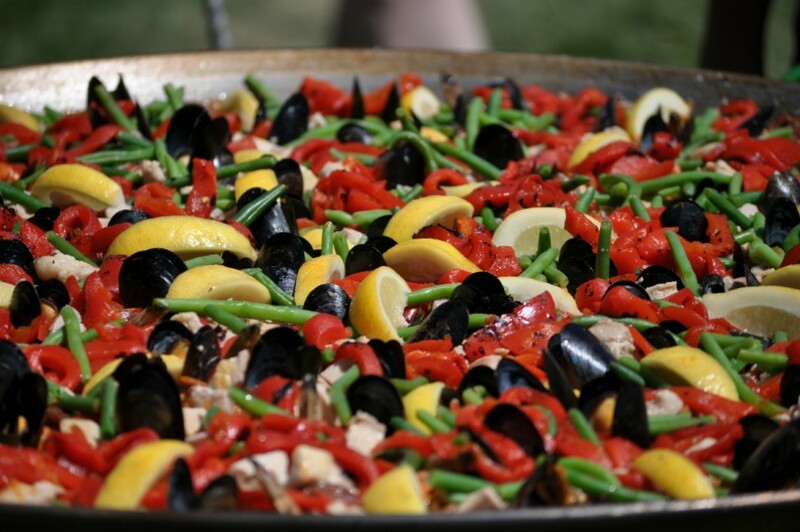 Indulge in a paella at dinner time on Thursdays! Dinner includes a plentiful portion of chicken, chorizo and seafood paella, a trio of the Chef’s choice tapas, mixed green salad, and a fresh baked roll. 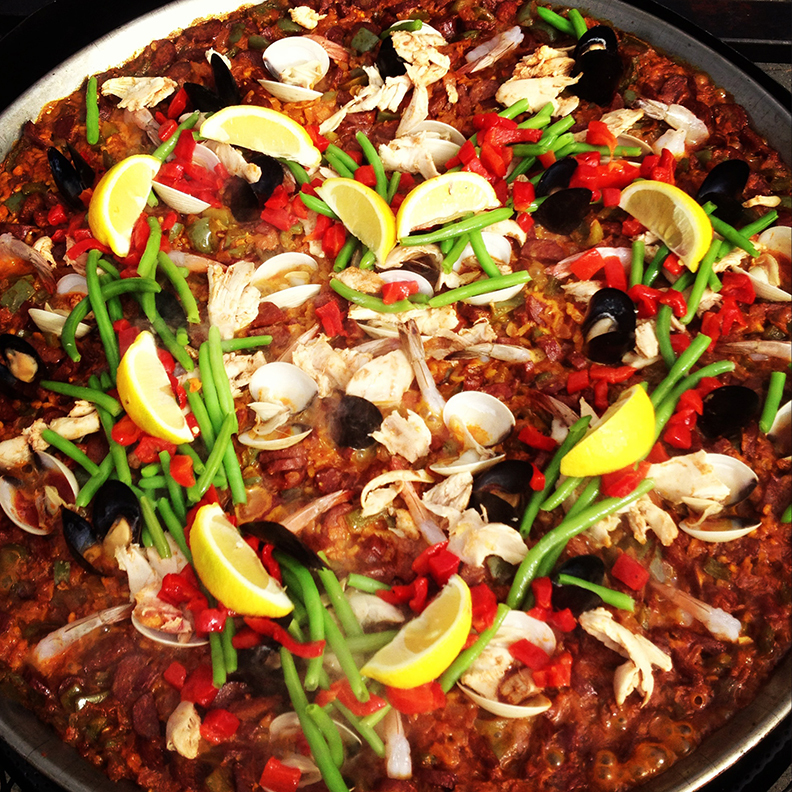 *Please note only Paella a la carte will only be available on 1st Thursdays. 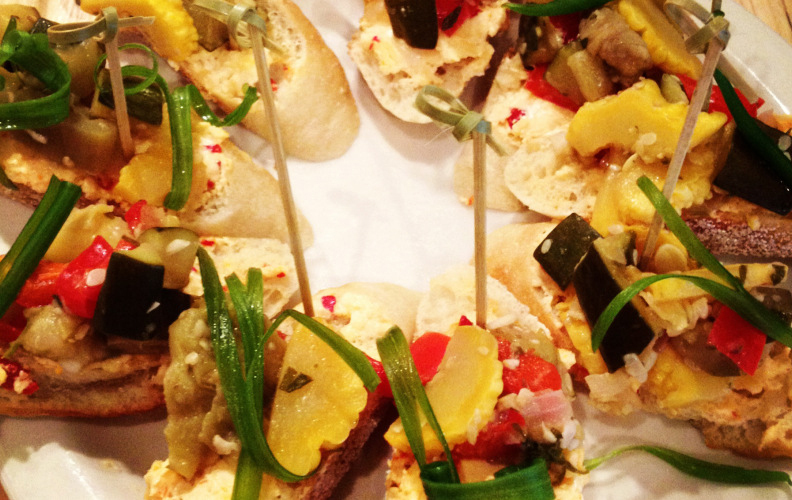 Supplement your Paella a la carte with our gorgeous 1st Thursday Pintxos Bar! 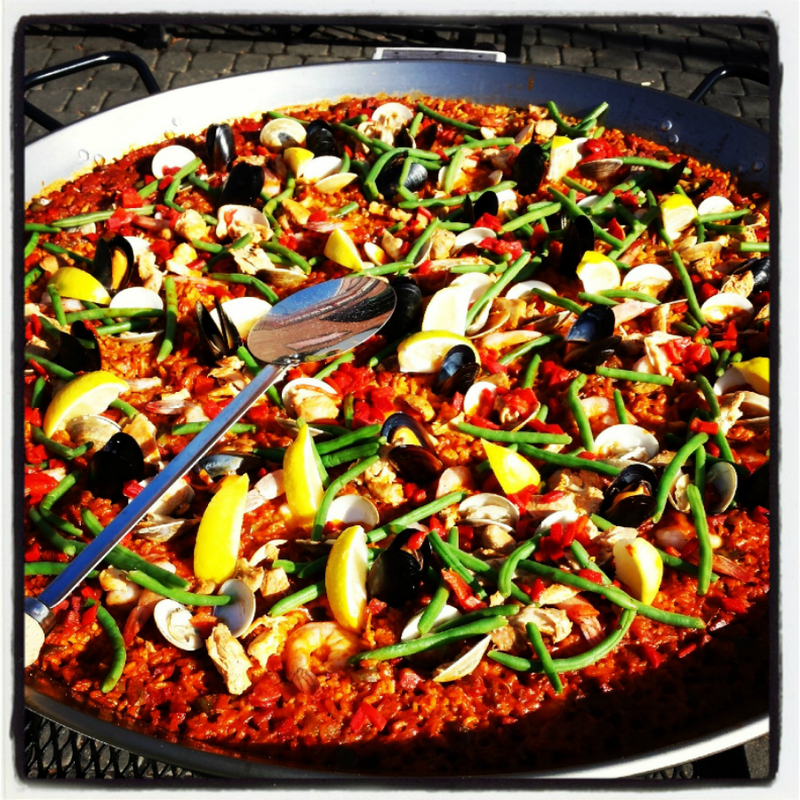 Entertain with a magnificent customized paella in one of our giant paella pans. You and your guests can enjoy watching the step by step preparation. 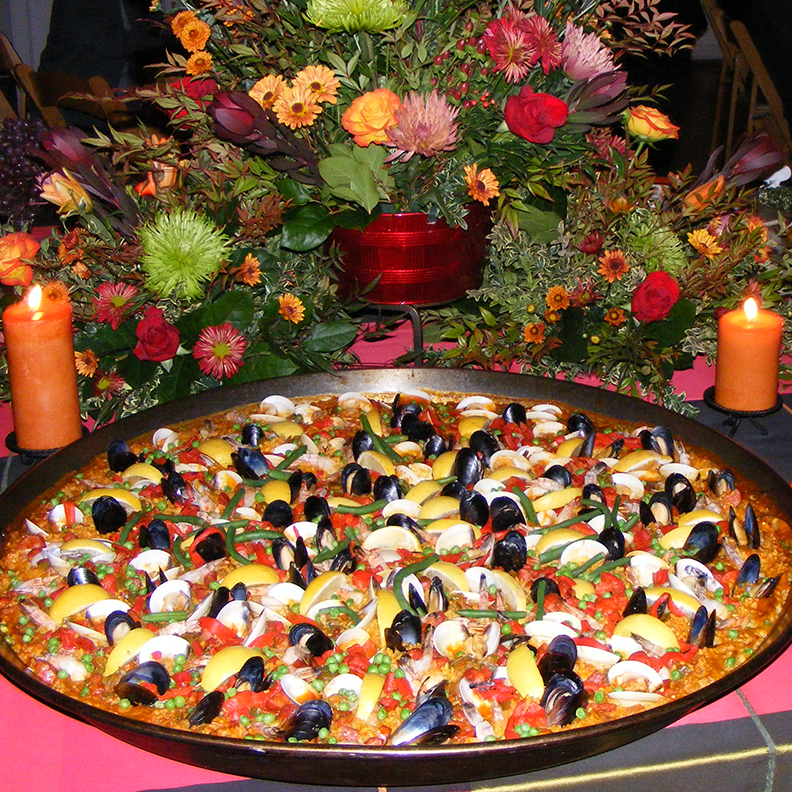 Paellas are a fun and beautiful way to turn your meal into an unforgettable celebration! Call (208) 433-1208 for pricing. 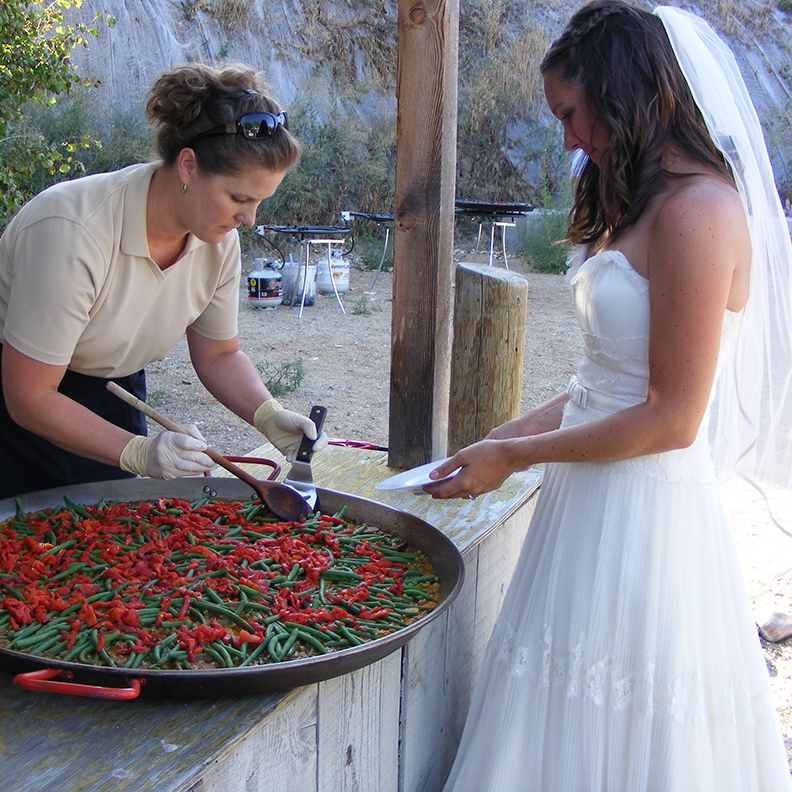 Paella can also be custom ordered and ready to pick up. While every effort is made to fulfill all catering requests, even with a 48 hour notice we may not be able to help due to previous arrangements. 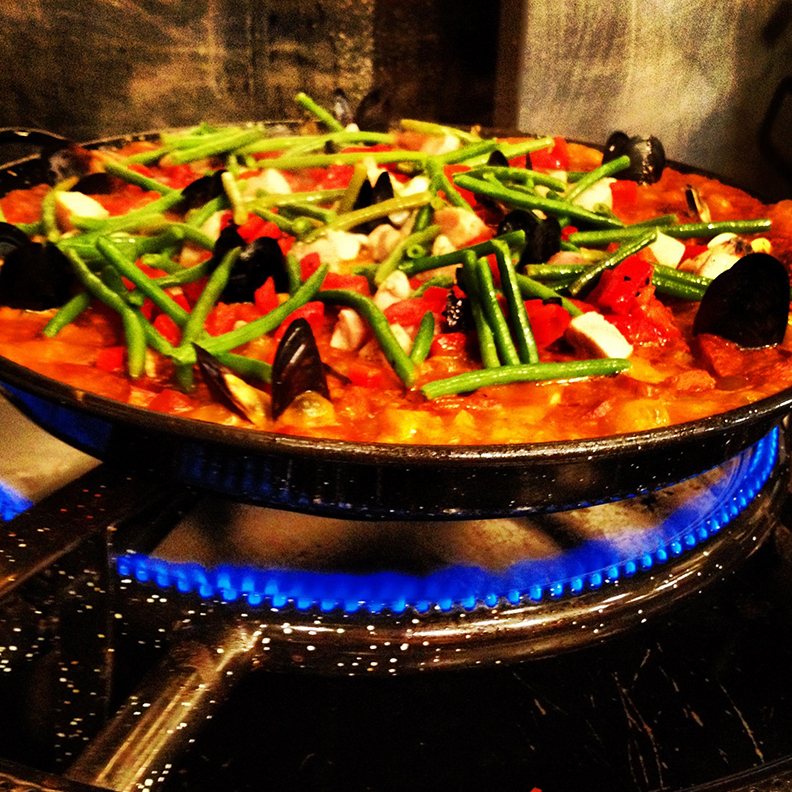 Choose from our 10 or 20 person enamel paella pans and arrive at your destination with a beautiful ready to eat meal. Add a green salad with Basque vinaigrette or a selection of tapas from our convenient pick up menu and entertaining is easy. 10 person paellas start at $110! Please give us a 48 hour notice. Visiting Boise I found this place thanks to fellow yelpers. The high ratings are completely justified for this little place. It is a market and a restaurant. They have a nice patio outside, but I chose to sit inside amongst the Spanish wines, cured meats and the biggest paella pans I've ever seen. I was warmly greeted and offered a taste of their different wines before deciding on a tempranillo. They had a cute tapas menu where I got to check off my selections. I went with the cheese spread, Spanish meatballs, and the paella rolls. I really enjoyed all, but was hard pressed not to put in for five more orders of the paella rolls. My only regret is that I won't be in town for their paella night, which as I understand is Wednesdays and Fridays from noon on. Check their website for more details. A gem in downtown Boise to be sure. Come check it out, you won't be disappointed! 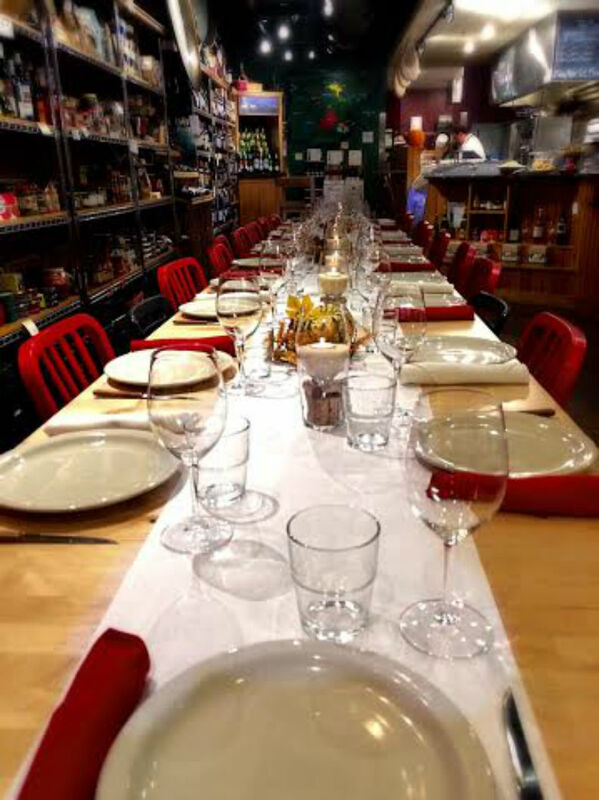 From Yelp – Posted by Kate P.
Wonderful family style dinner experience, we shared a table with another larger party and immediately hit it up chatting the evening away. I really enjoyed the entire experience, the appetizer was delicious, a smoked salmon tortilla with a balsamic reduction garnish. For the main course I had the pork loin with herb mashed potatoes. The pork loin was prepared with a thyme, salt and pepper tub and cooked to perfection. For dessert I had the basil panna cotta with strawberries and it was just the right size and mix of sweet and savory to round off the meal. I am looking forward to the next visit. 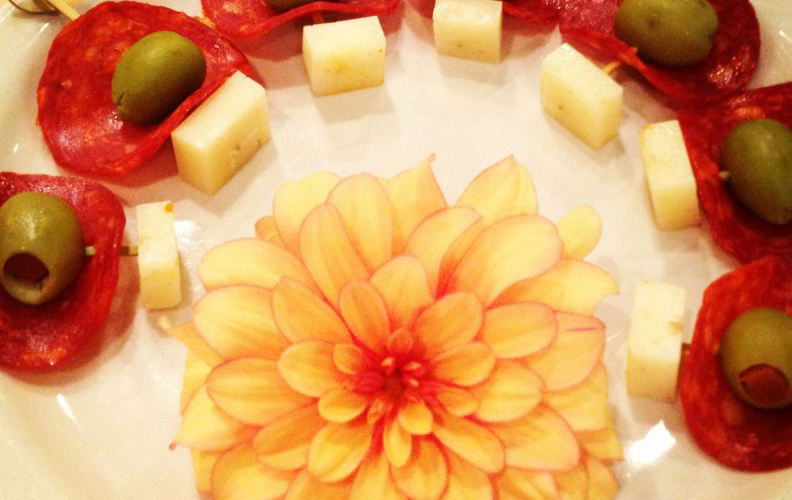 From Yelp – Posted by Nick T.
This place was a real treat. 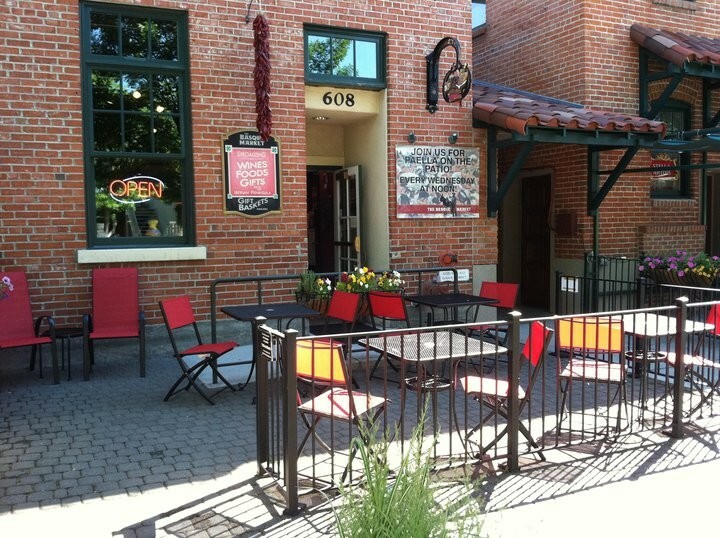 I ate here on the Friday of 4th of July weekend, when I was walking around downtown Boise. 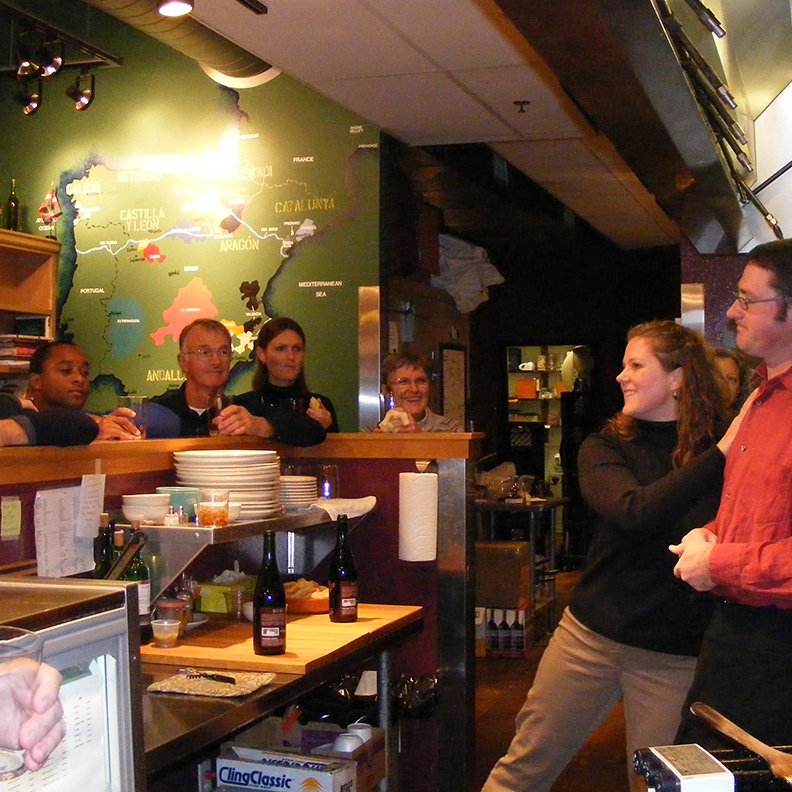 I stepped in and was immediately greeted by friendly staff, who showed me how the tapas "bar" worked. You pick out what you want, put it on a plate, eat it...and then they cash you out based on the various toothpicks that were in the food. I tried 5 pieces, loved all of them - from a watermelon ginger gazpacho to a Basque Egg Salad crostini to a chicken apple salad - very delicious. After lunch one of the staff saw me out front fiddling with my phone and they offered navigational assistance. "I'm not lost," I said. "I'm visiting from San Francisco and I'm posing a photo of the food and bragging about you on Facebook." Enough said! From Yelp – Posted by Dave M.
We really enjoyed our little lunch at this charming market. In addition to some very hard to find condiments, they offer a range of beautiful items the cooks in your will be sure to enjoy. The staff was both helpful and friendly. Be sure to try the Rice Pudding. We had The Basque Market cater our wedding dinner (~25 people) and we're so happy we did! The food was beautiful, unique, and most importantly, delicious. Service was excellent both in the months leading up to the event and the night of. Everyone was very happy with the food and service. Thanks so much to Tara and her family for making our wedding dinner special! One tasty way to experience a 'taste' of the Basque cuisine is to take in a night of tapas, or to be more pedantic, 'pintxos' at 'The Basque Market.' Not only is it the food, but the wine tasting, as they usually have several wines out to 'sample' before deciding on one to go with dinner. Most are usually quite inexpensive as well. Not only is it the food and drink, but the atmosphere that makes each time there so fun. Seemingly EVERY time that my wife and I have went there, we have struck up a conversation with complete strangers (usually because it's crowded and one ends up in a 'community dining' setting), ending the evening having met some very interesting people!! Word of warning however, just because 'pintxos' are SMALL dishes, don't be surprised to have a tab at the end of the evening similar to going out for a traditional restaurant setting, because if you can eat like I can, your total WILL add up! !